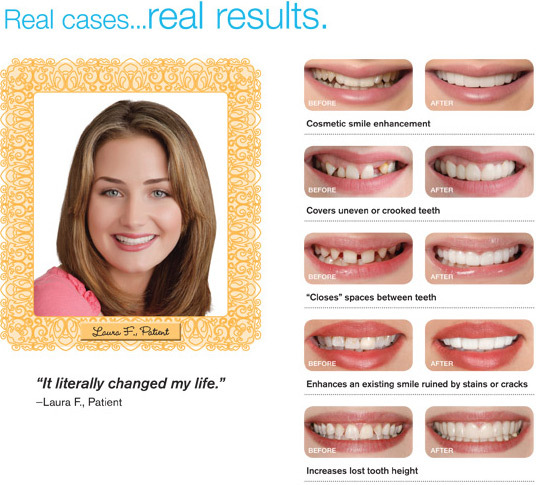 Snap-On Smile is an affordable, non-invasive, and completely reversible, cosmetic, removable arch that can easily and painlessly give you a beautiful smile. No shots. No drilling. 2 visits. Get started now! Snap-On Smile and temporary clip-on/snap-on teeth are a great option for those that want a great smile, fast and painlessly. It involves taking a one-minute impression of your mouth and very little (if any) preparation of your teeth. Clip-on-teeth is a great option for those that are concerned with the cost of permanent veneers, or anxiety of conventional dental preparation. Also known as press-on teeth, these are different than the temporary veneers you receive before your porcelain veneers are ready. These clip on teeth are formed to snap on and off your existing teeth, and you can wear them whenever you like. A proper impression of your teeth, gums and mouth is very important, and Dr. Sam is one of the premier providers and an expert in clip-on teeth procedures and many patients of his, young and old, have benefited from this solution. Out of area patients: A friendly reminder that an in-person visit will be required for an exam, as well as to take an impression of your teeth to be able to create a snap-on smile that's just right for you!